Things are certainly jumping in County Lines Country this fall. Looking for art, music and cultural events? We’ve got them all. In the mood for hair-raising excursions, escapes and adventures? Once again, you’re covered. Like beer? October is overflowing with local beer festivals, fairs and tastings. Plus, there’s Halloween! So, look over the events we’ve put together for you here and in our Best Local Events Section in this issue and mark your calendar. And enjoy all that October offers! 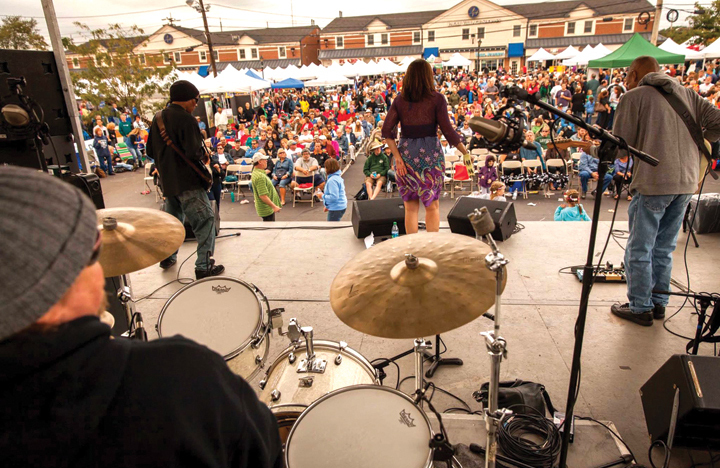 West Chester has much to offer in October—as it does in most months! 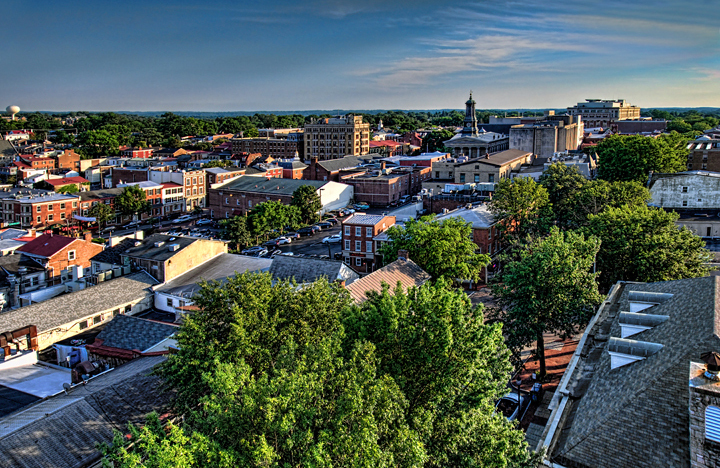 First up, stroll through the Borough for an evening of art, dining and shopping during the October 5th West Chester Autumn Gallery Walk, presented by Sunset Hill Jewelers & Fine Arts Gallery. GreaterWestChester.com. On October 7, head over to Oakbourne Mansion for Westtown Day, where the historic mansion and grounds will host live bands, carnival games, mini pony rides, petting zoo, food trucks, Civil War re-enactors, historical demonstrations, and an assortment of local schools, vendors and organizations. WesttownPA.org. Looking for a challenge? Try TreeHouse World where you can explore the newest and coolest treehouses around. Take the Aerial Zipline Adventure Course with three ziplines and eight bridge crossings that take you high above the headwaters of Valley Creek. TreeHouseWorld.com. If you haven’t experienced one, Escape Rooms are a big hit. 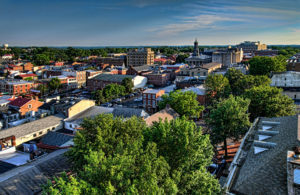 And West Chester offers two options: Escape West Chester at 116 S. High St. and Escape the Room West Chester at 323 E. Gay St. These are team-building experiences, so bring your friends for a “1 Hour, 1 Room, 1 Exit” adventure. This year marks the 27th Annual Dilworthtown Inn Crush Cancer Wine Festival, featuring more than 100 wines, craft beers, great food, a car show and plenty of fun, all benefitting The Abramson Cancer Center at Chester County Hospital. More about this October 14th event at ChesterCountyHospital.org. Get your tickets early for top-notch entertainment! The Resident Theatre Company performs Evita from October 12–28 at Uptown! 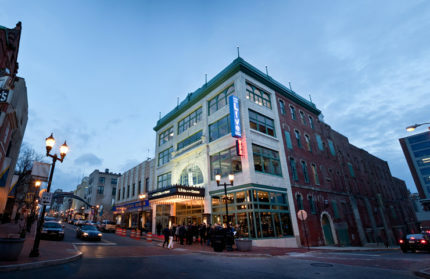 Knauer Performing Arts Center, UptownWestChester.org. On October 26–28, you’ll be charmed by Brandywine Ballet’s presentation of Balanchine, Barber and Brandywine. BrandywineBallet.org. 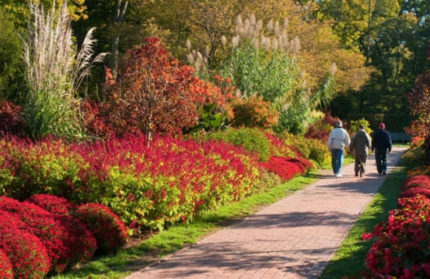 Everyone’s #1 pick for their fall checklist is Longwood Gardens’ Autumn’s Colors. Celebrate the harvest season with pumpkins and thousands of chrysanthemums both indoors and out. Of course, the fountain shows continue daily through October 28. Go back for the Chrysanthemum Festival, October 25–November 18, and see more than 20,000 blooming mums take over Longwood’s four-acre conservatory. LongwoodGardens.com. An annual Chadds Ford tradition is the three-day Great Pumpkin Carve, October 18–20, with over 60 local artists carving giant pumpkins. Intricately carved pumpkins will be lit in all their glory after the carving is done and displayed all three nights. Treat yourself to great food and fall’s best offered by area eateries, enjoy live music, hayrides, a haunted trail and more. At the Historical Society, 1736 Creek Rd. GreatPumpkinCarve.com. “21 Years of Beers.” That’s what the new poster for the Kennett Brewfest says, and experience shows they certainly know how to do it right. Sample selections from over 100 breweries, enjoy live music, food trucks, vendors and more. Come on October 13 for the Connoisseur Session (before the Regular Session) for special pourings from select brewers showcasing different, rare, exclusive, limited and seasonal beers. Head farther south to Nottingham and visit the Herr’s Snack Factory for Halloween Happenings on October 29. If you haven’t experienced trick-or-treating during one of the tours here, you don’t know what you’re missing. Herrs.com. Thorncroft Equestrian Center is holding their 9th Annual “Lobstah” Bake on October 14 at the Jimmy Moran North Arena at their headquarters in Malvern. Bring the kids and enjoy live music, dancing and a great time at this fundraiser for Thorncroft, whose mission is to develop the physical and emotional well-being of all people, including those with special needs. Thorncroft.org. 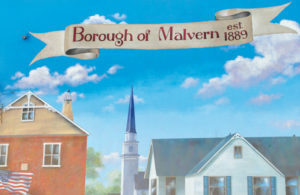 There’s more fun in Malvern at Historic Sugartown’s Sundown Lantern Tours, October 19–20. You’ll get goosebumps as guides lead visitors through the historic village by lantern light. Details at HistoricSugartown.org. Heading a bit east on Rt. 30 brings you to Wayne, where the Radnor Fall Harvest & Great Pumpkin Patch event puts a smile to everyone’s face. Held on October 7 at The Willows, 490 Darby-Paoli Rd. in Radnor, it’s great fun for the whole family. Radnor.com. To enjoy the glory of a Mid-Atlantic fall, visit Stoneleigh Mansion and Gardens, 1829 E. County Line Rd. in Villanova. Mark your calendar for the October 13th Home and Garden Tour, which includes a tour of the mansion, generally closed to visitors. If you miss that, the Valley Forge Park Alliance hosts another tour on October 18. StoneleighGarden.org. We also recommend a visit to The Wharton Esherick Museum almost anytime. If you go on October 6, you can catch “Artistry Personified,” a program from Chanticleer and Wharton Esherick staff teaming up to show how the garden and museum showcase wood-working, craftsmanship and inspiration gained from observing nature. WhartonEsherickMuseum.org. Craft beer lovers should support the inaugural Pints of Chester County Beer Garden on October 14. Locust Lane Craft Brewery and Chester County’s Brandywine Valley bring together a sampling of craft breweries for this new event. No tickets required—just show up thirsty at 50 Three Tun Rd. in Malvern. BrandywineValley.com or Facebook.com/LocustLaneCB. There’s more beer in October! Downingtown Library will host the 1st Annual D-Town Brew Down fundraiser on October 27 in Kerr Park, where you can taste and vote for your favorite, delicious home-brewed beers, learn about beer making, listen to live music, enjoy tasty food from food trucks and have fun. DowningtownLibrary.org. And you’ll find even more fun in Kerr Park near the gazebo on October 27. The Downingtown Parks and Recreation Commission is calling all ghosts and spooky critters for Boo Bash 2018! The festivities include a costume contest, food and vendors, as well as a Halloween themed double feature. On Facebook. The blues rule the day on October 6 at the 10th Annual Paoli Blues Fest & Street Fair held at Paoli Presbyterian Church on S. Valley Rd. You’ll be dancing in the streets and enjoying a beer garden, vendors, KidZone and more. PaoliBluesFest.com. Also on October 6, the Upper Main Line Rotary will celebrate Oktoberfest at the Church of the Good Samaritan, 212 W. Lancaster Ave. If you like German food and a great beer selection, this is the place for you. Lots of family-friendly activities, like pumpkin decorating, bouncy houses and more. UMLRotary.org. An evening at Historic Waynesborough promises ghostly tours plus gourmet food and drinks as Ghost Tales & Shrimp Tails takes over the mansion on October 12. The fun and fright begin at 6:30 with open bar and continue until 9:30 (maybe later). For tickets, email HistoricWaynesborough@PhilaLandmarks.org. The Delaware Art Museum always has lots going on. Their juried Craft Exhibition, October 20–January 27, features contemporary crafts and the current exhibition, “Gifts from the Hotel duPont Collection” runs through January 13. These gifts are a collection of 13 artworks previously displayed in the Hotel du Pont and include watercolors by Andrew Wyeth and oil paintings by N.C. Wyeth, Frank Schoonover and Edward Loper. DelArt.org. Meals on Wheels Delaware has come up with a great idea for their October 18 fundraiser. Some of the best area restaurants get together for the Ultimate Tailgate Fundraiser, serving unique interpretations of tailgate food. Delaware Park Racetrack & Slots, 777 Delaware Park Blvd. MealsOnWheelsDE.org. For a scary good time, visit Winterthur Museum, Garden & Library October 27th for a one-man show with actor David Keltz portraying Edgar Allan Poe, then take a spooky tram ride with ghost sights, and enjoy adult crafts and beverages. Winterthur.org. How about a family-friendly Saturday evening at the Delaware Museum of Natural History’s Night at the Museum & Star Party on November 3? The Delaware Astronomical Society will discuss why we need the dark. Then head outdoors to view the Fall/Winter constellations, including the great square of Pegasus and take a final look at the summer triangle or navigation triangle. DelMNH.org. And, of course, there’s Theater Row downtown for more fun. The Newlin Grist Mill, 219 Cheyney Rd. in Glen Mills, has some don’t-miss events in October. The Fall Harvest Festival on October 6 features artisans demonstrating a variety of Colonial trades, hayrides, pumpkin painting and games. On October 11, stop by after hours for Sip Behind the Scenes: Mills & Stills to sample local beverages and chat with staff at the mill. On October 13, 20 and 27, one of the most haunted properties in Delaware County holds popular Lantern Ghost Tours. You’ll discover the strange ways Colonists treated their dead, tour the barn and, for the first time, Colonial Plantation’s farmhouse attic will provide the backdrop for one particularly horrific story. 3900 N. Sandy Flash Dr., Newtown Square. ColonialPlantation.org. Want to start a new fall family tradition? Visit Arasapha Farms, 1835 Middletown Rd. in Glen Mills, for the Harvest Hayride. Then head over to the Pumpkin Garden and Petting Zoo, have a blast with the corn cannon, take a train ride and much more. HarvestHayride.com. At the same location, there’s a different kind of hayride. Perhaps for an older crowd. The Haunted Hayride at Arasapha Farm has been scaring visitors for 27 years with amazing props, digital FX, great actors and unbelievable makeup. It’s been featured on the Travel Channel and rated the #1 Haunted Attraction by several news outlets. Check it out through October 31. TheBatesMotel.com. For one final bit of fall fun, head for West Laurel Hill, 225 Belmont Ave. in Bala Cynwyd, for an interactive murder mystery evening. Without A Cue Productions entertains guests with Murder at the Mardi Gras on October 13. Back by popular demand, the evening offers cocktails, dinner and the performance. WestLaurelHill.com.